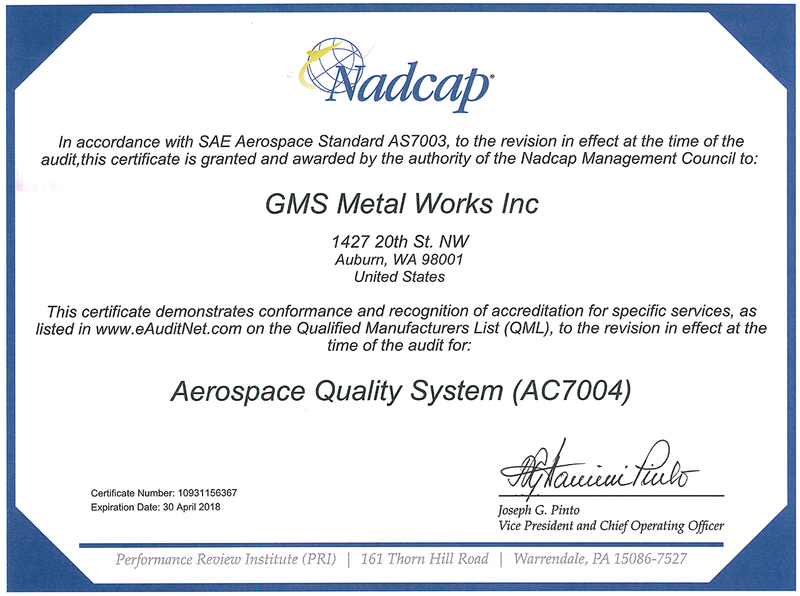 At GMS Metal Works, Inc. we take the quality of our products very seriously. 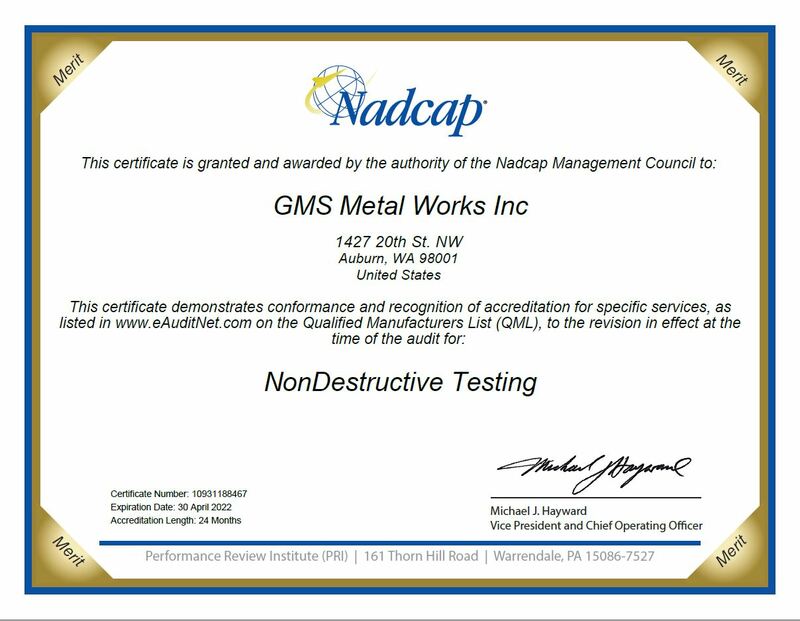 To that end, GMS boasts being both NADCAP accredited and DPD approved. We rigorously test each component using advanced flaw detection systems, such as fluorescent penetrant testing, to ensure that our clients on receive our best work. Why settle for anything less than the best for your project? Our team delivers only those products which meet our quality control standards, even if it means redesigning a product or manufacturing process to meet those standards. GMS Metal Works, Inc. will consistently provide you with the best long term quality, price, and delivery in the industry. From simple detail parts to complex assemblies, we have the expertise to deliver low cost, high quality products on time, while consistently promoting lean manufacturing and process improvement techniques. Below you will find our current quality control certifications. Click on the thumbnail to view a larger version of the certification. You can also download the PDF version of this certification below. Note* You must have Adobe Reader™ installed on your computer to open the PDF version of our certifications.